Exclusive range of Monel 400 Tubes, are exported by us. We try hard to make our range more ultimate and eventual, by conducting precise investigations at the time of purchasing from the manufacturing firms. We have the team of quality analyzers which examine the products before they have been undertaken by us. Alloy 400 is virtually immune to chloride ion stress corrosion cracking in typical environments. Generally, its corrosion resistance is very good in reducing environments, but poor in oxidizing conditions. It is not useful in oxidizing acids, such as nitric acid and nitrous. Nevertheless, it is resistant to most alkalis, salts, waters, food products, organic substances and atmospheric conditions at normal and elevated temperatures. This nickel alloy is attacked in sulfur-bearing gases above approximately 700° F and molten sulfur attacks the alloy at temperatures over approximately 500° F.
Monel 400 offers about the same corrosion resistance as nickel but with higher maximum working pressures and temperatures and at a lower cost due to its superior ability to be machined. 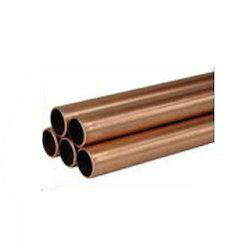 Wide ranges of Monel 400 Seamless Tubes are offered by us. All of our ranges are made up of high quality material procured from the reliable vendors. Our products are known for there durability, high utility and high quality and they effectively serve numerous industries successfully across the world. Following specifications are available in our products-: Our products are compliant with norms ASTM, ASME SB 163 / 165. These are available in grades Monel 400 (uns no. N04400). These are available in dimensions 1 mm OD up to 254 mm OD in 0.2 to 20 mm thickness. 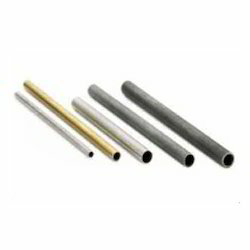 Our seamless tubes are in round, square, rectangular, coil and ‘u’ shape. The application of these tubes is in hydraulic tube, horn tube, capillary tube, boiler tube, precision tube, IBR tube. These are available in lengths single random, double random & cut length and plain end, beveled end, threaded. These product offer value added services. A vast range of Monel 400 Welded Tubes, made of premium quality raw materials are being offered by us. Having an ability to serve the national and international market with timely execution of bulk demands, we have been able to make a strong foothold in the market. These tubes are available in ASTM/ASME SB 163/165 standards and grades of Monel 400 (UNS No. NO44oo) and Monel 500 (UNS No. NO5500). It is available in the range of 1 mm OD up to 254 mm OD in 0.2 TO 20 mm thickness, and welded type. They are available in the square, coil, and round, rectangular and ‘U’ shape, and others are available in horn tube, hydraulic tube, boiler tube, capillary tube, IBR tube, and precision tube. The lengths in which they are available are cut length, double random and single random. They are also available in beveled end, plain end and threaded. It complies following features. Electro polish, Fbe & epoxy services, bending buffin and many more. Looking for Monel 400 Tubes ?